How To Cut, Remove The Seed, And Peel An Avocado. You know the saying “there are 10 ways to skin a cat.” Well the same goes for peeling and taking out an avocado pit. Everyone seems to have a different way to do it and that’s fine. Today I am going to show you how I do it in a safe way. 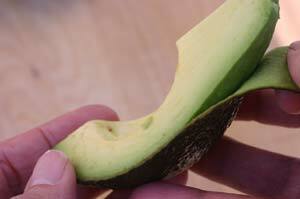 I’ve heard of people whacking knives into the seed while holding the pit-half of an avocado in their hand. What are they thinking? Please don’t do that. Avocado pits do break sometimes. I’ve seen it happen. 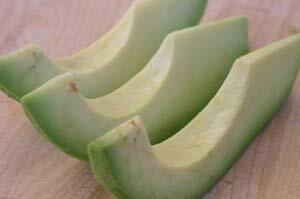 Here is my recommended way of slicing an avocado and removing the avocado pit. 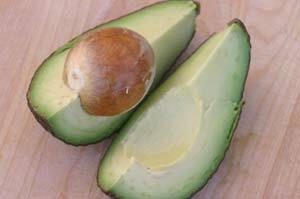 Cut the avocado length wise around the pit. Twist the two ends and separate the halves. Cut the half with the seed again. Pull the pieces apart. Now it is very easy to pull the seed out with your fingers. 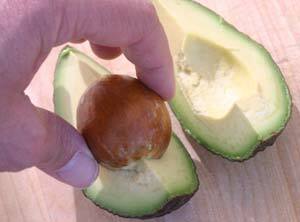 You can easily peel the skin from the avocado. 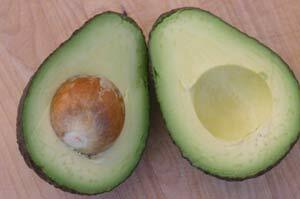 At this point you can slice the avocado like this for garnish or in a salad. 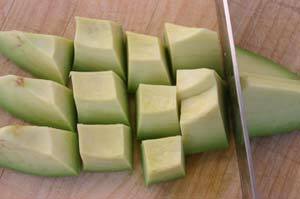 You can also slice the avocado into chunks. Most of the time when I’m cutting an avocado, it’s because I’m making guacamole. In this case I am not concerned about keeping the avocado looking perfect. I just pull the seed out with my fingers after I’ve cut the avocado in half. Then I take a spoon and scoop out the avocado and put it in a bowl. If your avocado has some brown spots in it try and scoop those out. If a little gets in your guacamole it’s no big deal. You just don’t want a lot of brown stuff going into your guacamole. 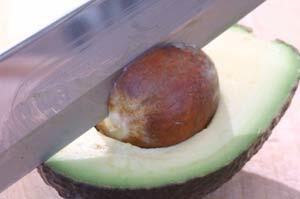 If you are like me and you want to try whacking the knife into the avocado seed just to have the experience, go ahead and try it. Heck you only live once. 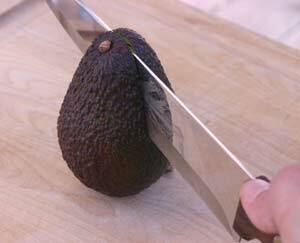 Just make sure that the avocado is sitting on a cutting board when you swing the knife. We want to keep you out of the emergency room if possible. Your goal is to have the knife penetrate the seed a half inch or so. Then twist and pull the seed out. Be careful when you pull the seed out of the knife. So enjoy this wonderful food and make some guacamole.